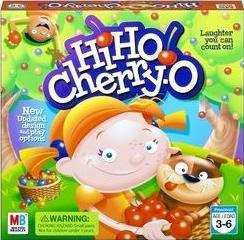 If you're looking for a great counting game for preschoolers, Hi Ho Cherry-O is it. This game emphasizes learning to count while having fun. You pick the cherries off of your tree and drop them in the bucket, but watch out for dogs, birds, or spilled buckets!! Hi Ho Cherry-O also teaches social skills and how to take turns, which is an important skill to learn as you need it in everything from playing games as a child to real life (ie school and jobs) as a grown-up. This game is great for ages 3-6, but adults may not want to play over and over again the way your kids will (since we already know how to count). Also, you can have between 2-4 players, so the whole family can play together! Get ready for some pre-schooler fun! Win Hi Ho Cherry-O ! First, you need to publicly follow this blog and/or subscribe on Google Reader. Then comment here and tell me what your favorite number is. 4) Follow this blog on Networked Blogs and comment here for 1 additional entry. (The link is on the left side-bar). 5) Follow my personal blog, Elana's Musings, and comment here for 1 additional entry. 6) Click here to Stumble this post and comment to receive 1 additional entry. 7) Click here to Stumble this blog and comment to receive 1 additional entry. 8) Subscribe to The Twinners emails and comment here after you've confirmed your subscription for 1 additional entry. 9) Blog about this giveaway, make sure to directly link to this post and comment here with the URL for 3 additional entries (be sure to leave three separate comments). 10) Add my Family Game Month button to your blog and comment with the URL of your blog for 1 additional entry. 11) Add my button to your blog and comment with the URL of your blog for 1 additional entry. 12) Get an unlimited number of additional entries for entering other The Twinners giveaways (1 additional entry per CURRENT OPEN giveaway, and make sure to leave a separate comment for each giveaway). 13) Vote for this blog by clicking each of the following icons for 1 additional entry per click (a total of 3 additional entries), and you can do this once per day! Make sure to comment 3 times every day that you click to let me know you clicked for each one. 14) Click here to vote for me as one of the top 50 Mommy Bloggers on Babble and get 1 additional entry. Make sure you find my blog (alphabetically, I'm on page 13) and click the "thumbs up" that says "I like this blogger" to vote for me. This giveaway will close on May 3, 2010 at midnight. The winners will be drawn via random.org and will have 48 hours to respond to my email or another winner will be drawn. 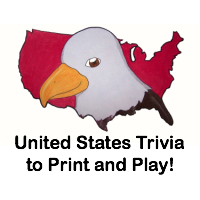 Free shipping of prize to US addresses; international addresses will have to pay the difference in shipping costs. I follow on GFC and my favorite number is, oddly enough, 13! I entered the Connect 4 giveaway! My favorite number is 4! I entered the battleship giveaway! I entered the Operation giveaway! I voted for you via the "Top Mommy Blogger" button! I voted for you on Top 100 Mommy Blogs!